Spoilers about the final episode of Dexter. Stop reading if you haven't seen the episode yet. Still reeling from the Dexter series finale? Surprised, or a bit annoyed by the final scene of the show? 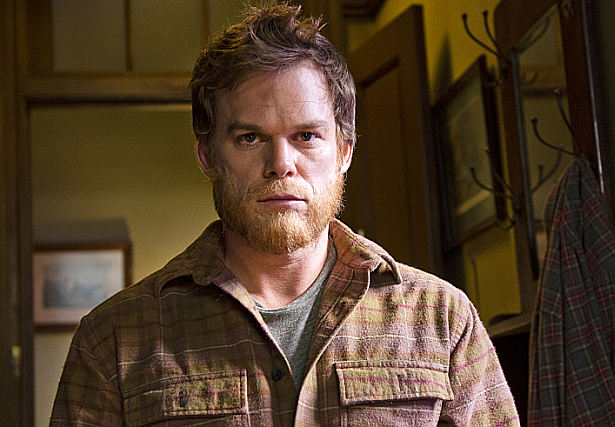 After the finale many people were wondering why the writers choose Dexter to end up alive and live far away from Hannah and his son Harrison, as a lumberjack. Dexter's new life is symbolic and has a great meaning. According to writer Scott Reynolds' responses via Twitter, Dex lives a new life in Oregon. As for his new job as a lumberjack he's now surrounded by the sound of chain saws everyday. A chain saw was the reason it all started. And that's some kind of a self-punishment for what he did to the most important people of his life.